One of the biggest reasons that homeowners paint their home's exterior is to make it more attractive and boost its curb appeal. Exterior painting can be a great way to make your home look better, but that's only a small part of the benefits that exterior painting can provide. With the right paints, techniques, and preparation, exterior painting can provide your home with great protection from weather and the elements, and it can improve your home's health. At Premier Painting, we know how important your home is to you and your family, so our expert house painters strive to provide the highest quality painting services possible at every job we perform. When you hire us for any exterior painting services in the North Shore MA, we'll do whatever it takes to make sure that you receive the best products and workmanship possible. We'll work with you to choose the colors, products, and materials that will be best for your home, and we'll make sure that this project keeps your home both attractive and healthy. Painting your home's exterior walls, trim, and other surfaces will help to provide protection of these parts of your home from any inclement or harsh weather. Moisture can often enter through unsealed portions of your exterior walls, and there it can cause mold growth or ruin your home's insulation. Our professional house painters will be able to ensure that your home's exterior walls are totally sealed and protected. 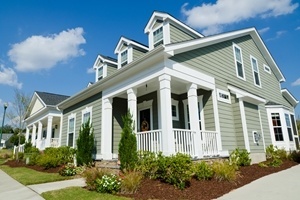 Preparing your home's exterior for a new application of paint can be as beneficial as the new coat of paint itself. We spend time before we paint your exterior making repairs to the surfaces, scraping off any peeling paint, and sealing the surface to protect your home. These preparation are a big part of ensuring that the exterior paint adheres properly so it looks great and last long, but they'll also go a long way toward keeping your home's exterior surfaces as healthy as possible. A fresh coat of paint will help you keep termites and other pests at bay. Termites can do a tremendous amount of damage to your home, and our painting services will go a long way toward making sure that your home is properly protected from them. Do you need a professional house painter for exterior painting in The North Shore, MA? Call Premier Painting at 978-532-7788 or complete our online request form.